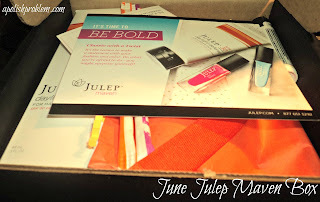 Back last year, when I first joined Julep Maven, I had plans of showing you my monthly Maven boxes. Then life got a little topsy-turvy and I just never continued past my first box. 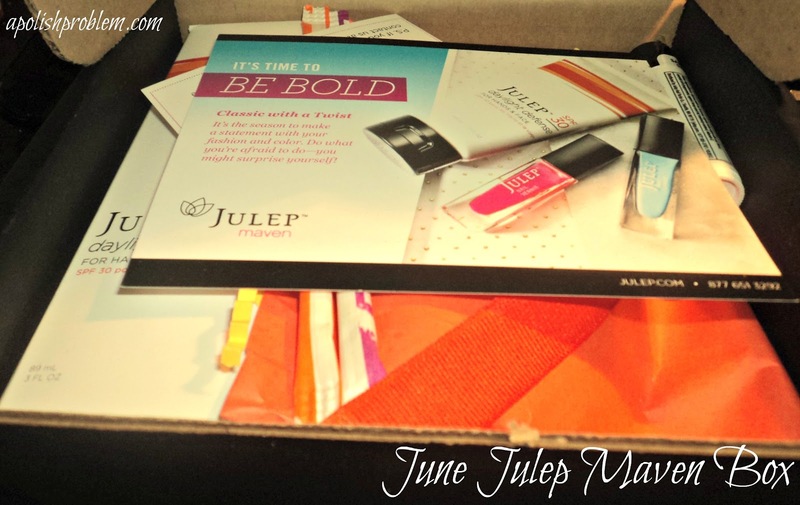 However, as I now have a Julep Maven giveaway in the works (link below), I figured I would show you this month's box because I think it's particularly awesome! Such cute packaging. I love that the boxes always follow a theme. I loved the orange tissue paper and the Pixie Sticks were a nice touch. Unless you choose the all-polish box, It Girl, then you will receive on product. This month's product was Daylight Defense Hand and Nail Cream (sorry for the out-of-focus picture). 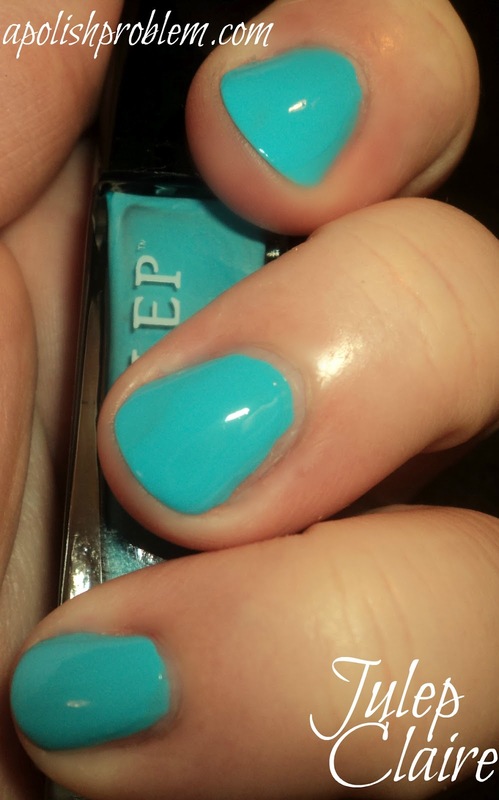 Claire - turquoise blue creme. Gorgeous color. I love this kind of blue and Claire is no exception. Fantastic formula. 2 coats. 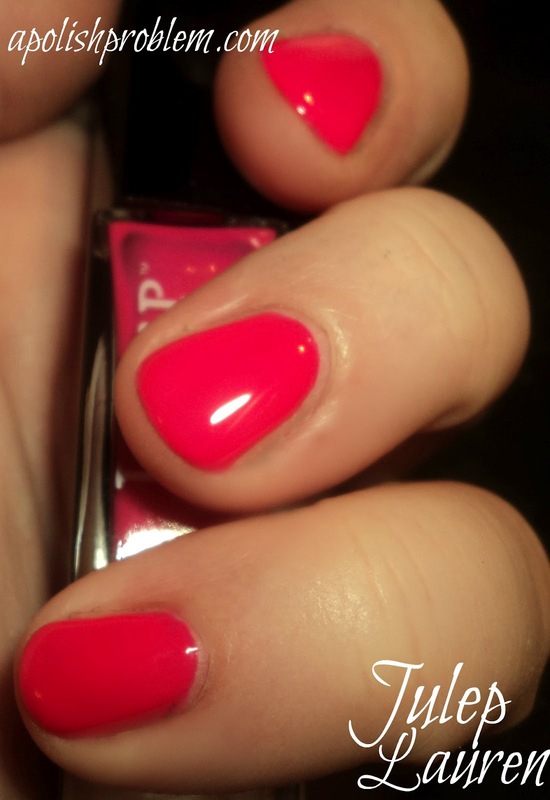 Lauren - bright fuchsia pink creme. This one is a beautiful bright pink. I loved this one on my nails. Plus, hot pink = instant tan. Same formula as Claire. 2 coats. For me, this was my favorite Julep box in a while, and that's saying something because there have been some good boxes lately. 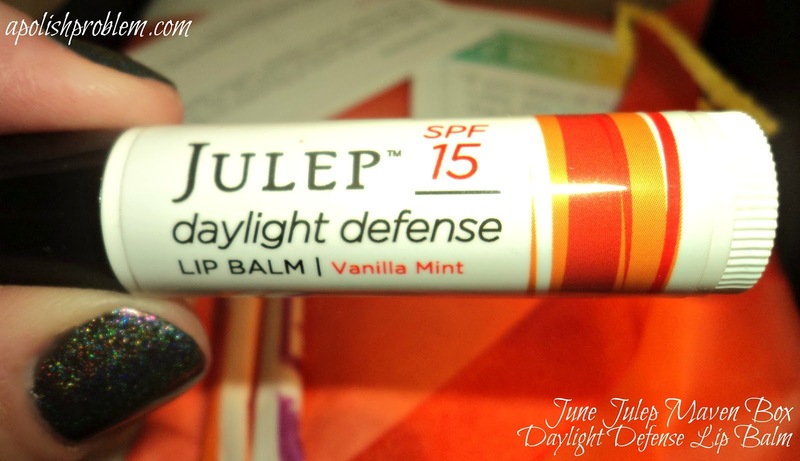 I adore both of these colors, and while I'm usually not a product-girl, I figured this face cream would come in handy because I'm out in the sun so much this summer. 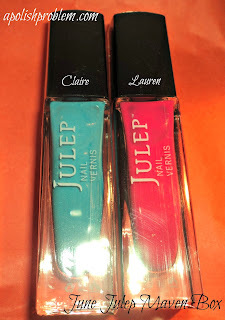 If you are interested in becoming a Julep Maven, I am hosting a Maven introductory box giveaway. To enter the contest, click here. Don't want to wait? You can go to Julep.com and use code MAVENINTRO to receive your introductory Maven box for $0.01! I received the products within my post through my Maven subscription. The above links link to my giveaway blog post and to Julep.com. The Julep.com link is an affiliate link. 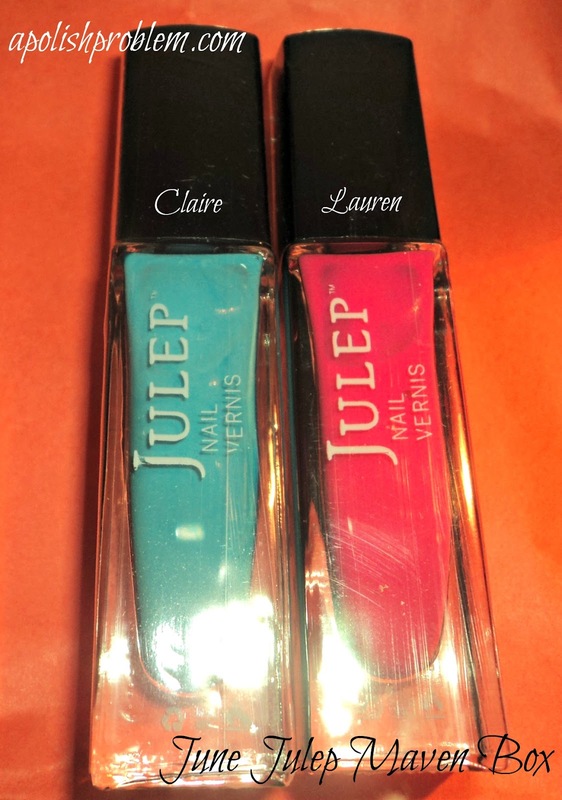 If you become a Julep Maven using that link, I will receive a credit and for every 2 credits, I receive a free month. You will receive your own link referral link when you become a Julep Maven. I cant wait until I get my box!